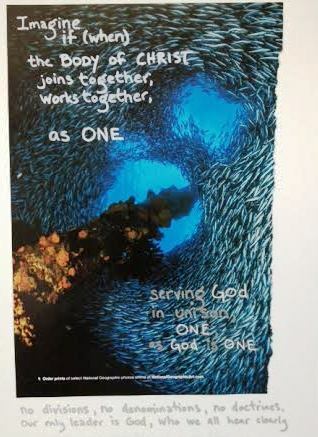 Imagine if (when) the Body of Christ joins together, works together, as ONE, serving God in unison, ONE, as God is ONE. Silver sharpie. White gel pen. This entry was posted in art journal, Artwork and tagged Body of Christ, God is one, one, union, unity. Bookmark the permalink.